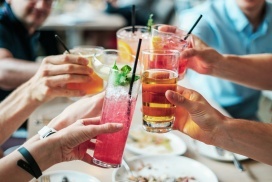 An office launch party is a great way to show off your new premises to your employees and important clients or suppliers. That goes for new business too, show off your new office or shop front and let people know where you are. It’s also a fantastic opportunity to do some networking whether that means inviting prospective clients, industry leaders or getting to know your old clients better, it helps build trust in you and your company. Leave the stress of organising it all to us while you concentrate on your business. We can organise and manage a range of services and activities that will make any office launch exciting and leave a lasting impression of you and your business. 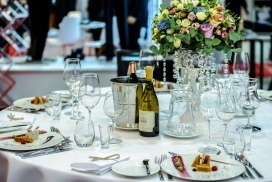 We can organise and manage various services and activities some include: champagne reception, hot buffets, canapés, free bar, cocktail bar, band & DJ, live music, venue sourcing, venue dressing (including full setup, chairs tables etc), caricature artists and yes even magicians. No matter how elaborate your office party, you can be sure that Crest Events will make it an office party to remember. Our experienced team will have everything set up and ready for when your guests are due to arrive. We stay on site making sure everything is running according to plan and then clear up at the end of your event. We leave the venue spotless taking away any rubbish. Our friendly waiting staff will be on hand at all times to top up your drinks, serve you food and be there to make sure you en joy your event to the fullest. 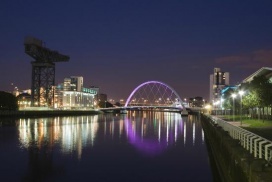 Crest Events are based in Glasgow however we service all of Scotland and Northern England. Depending on your location we may charge a delivery fee which will be clearly stated on your quote form. We have spent years finding and vetting our suppliers which helps us keep our prices competitively low and also means we know which companies to trust and who to avoid. We are also able to quickly adapt to any unforeseen circumstances to make sure your event continues to run smoothly making sure you enjoy your event stress free. Contact us to find to discuss your office launch party ideas.